TOEFL is a standardized test used by over 130 countries to evaluate proficiency in English language for international students or non-native English speakers. 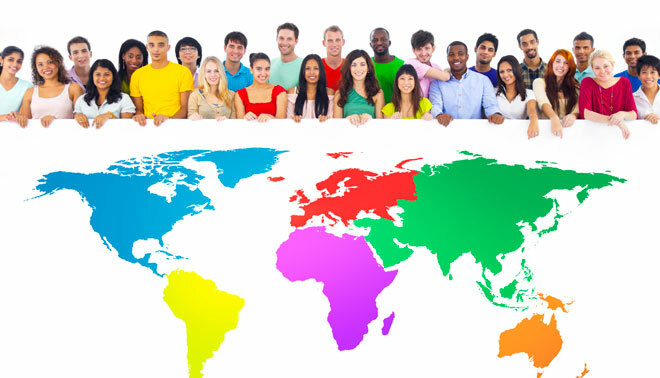 United States enrolls approximately 820,000 international students in colleges and universities each year. All of them are required to pass a TOEFL exam to enter the programs. The top 5 countries from which international students come from are: China, India, South Korea, Saudi Arabia, and Canada. TOEFL test measures your ability to use and understand English language in terms of reading, listening, speaking and writing. TOEFL is offered in two different forms: TOEFL iBT (internet-based test) and TOEFL PBT (paper-based test). TOEFL iBT (internet-based test) has 4 sections which includes reading, listening, speaking and writing. Reading: The reading section consists of reading and understanding 4 to 6 passages. At the end of the passage, students answer questions about main ideas, details, vocabulary and inferences. Speaking: This sections consists of 6 different tasks. In 2 tasks, students formulate their opinion on a familiar topic and speak clearly. In 4 tasks, students listen to a lecture and read a passage. They are then required to combine information, integrate and answer questions about it. The responses are digitally recorded. Writing: The writing section has two different tasks. First, students read a passage and listen to a speaker discuss it. They write a summary about main points. Second, write an essay about their opinion and explain. This test is available only in limited areas. This test has 4 sections: Listening, structure and written expression, reading comprehension and writing. Everything else is mostly similar however; the structure and written expression section is focused on grammar. It requires students to complete sentences and recognize errors in sentences. Phoenix Tutoring & Test Prep provides one-on-one in person TOEFL tutoring in Phoenix, Tempe, Chandler, and Scottsdale areas. We also provide one-on-one online tutoring using Skype all over United States and Canada. To purchase TOEFL lessons with us please visit www.phxtutoring.com select courses, and under test preparations buy TOEFL lessons. Phoenix Tutoring & Test Prep at 773-386-3184 (Call or Text).